Dorset Piddle’s Silent Slasher | DorsetBreweries.com - A Guide to Dorset Breweries and Dorset Beers! Blonde lager style beer crafted with the finest extra pale malt and wheat. Deceivingly light with hops chosen for their floral aroma and flavour. 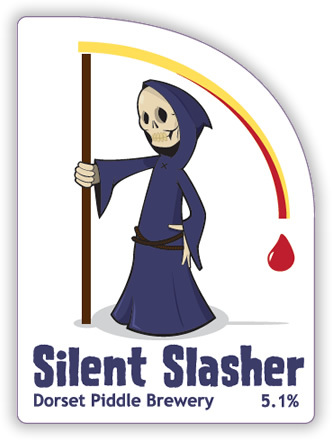 At 5.1% Silent Slasher is sweet with a refreshing dry bitter finish.